Arrow Villain Returns Full Time For Season 7. Entertainment Weekly has reported that the villain of Arrow season 6 will return for season 7 as a full time cast member. That’s right, the Dragon is back. 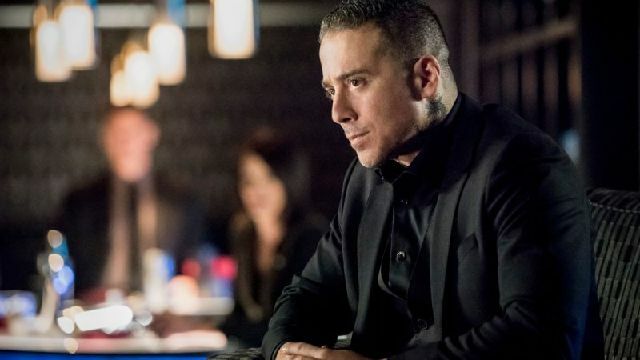 Kirk Acevedo will be a series regular for season 7 of Arrow. Acevedo’s portrayal of the Dragon, Ricardo Diaz, began as a member of the cabal assembled to bring down Oliver Queen and Team Arrow. But by the middle of the season and beyond, Ricardo Diaz secured his place as season 6’s big bad. Diaz has the honor of being the first Arrow villain to not only get away, but now to immediately return for the new season. This year, Diaz is bringing in the Longbow Hunters to help him take back Star City. Richard Dragon originally debuted in a novel, Kung Fu Master, Richard Dragon: Dragon’s Fists, which was published in 1974. Co-creator Dennis O’Neil then adapted the character for comics as the man who trained the Question, Oracle, and other heroes. Later the character was reinvented during DC’s New 52 as Ricardo Diaz. This is the version of the Dragon that Acevedo is portraying on Arrow. The modern comic book incarnation of the character is the son of a drug kingpin killed by John Diggle. Ricardo Diaz sought his revenge and trained with the League of Assassins. His sensei taught him to be a living weapon, but also instilled compassion in his heart. Diaz killed his sensei to remove that compassion, and took his name for himself. That’s how Diaz became the new Dragon. Diaz’s comic book counterpart also tried to take down Green Arrow with the help of the Longbow Hunters: Brick, Killer Moth, and Red Dart. All of this means we’re potentially going to see Killer Moth on Arrow. That alone will have me hooked for the entire season. Are you equally excited to see Kirk Acevedo back for another full season of Arrow? Let us know in the comment section below!